3. Whoever profits most, wins! 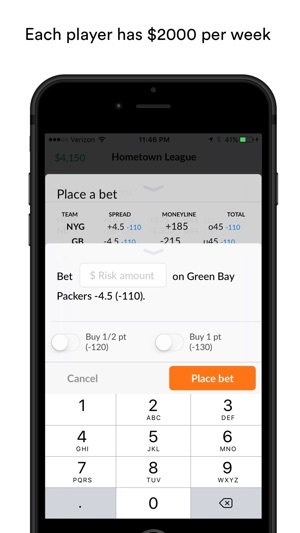 Wolf Spreads is similar to traditional fantasy sports except players don't pick any QBs, WRs, or RBs - they make bets against the posted Las Vegas spreads. Whoever makes the most profit with their given fantasy bankroll wins. 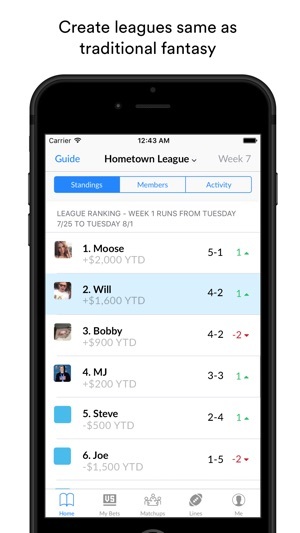 Instead of rooting for one player, Wolf Spread's users are in all of the action on both sides of the ball - delivering the fantasy sports action true fans deserve. Updated for the 2018-2019 NFL and NBA seasons. 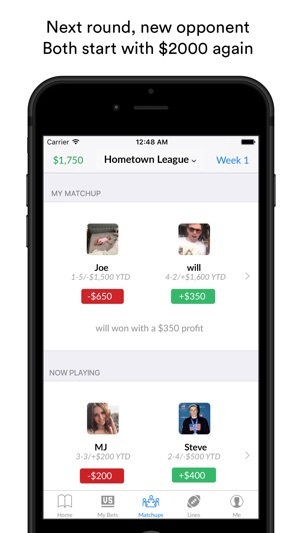 I've been playing fantasy sports for years and was looking for something new to enjoy. Wolf Spreads provided this. It is fun, easy to use and allows you to bet without losing money. The only thing I have left to say is just download it. Simple, easy to use, looking forward to next season!